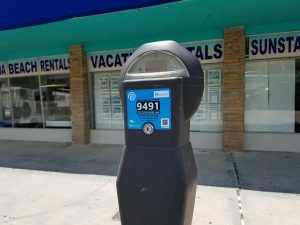 Clearwater Beach has joined a growing number of cities that are using parking meters and pay stations that visitors can operate via their mobile devices. 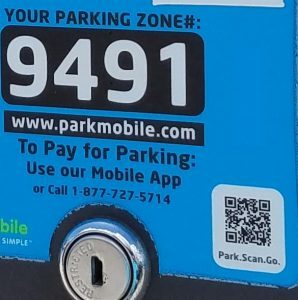 How can you pay for parking with just your phone? We asked the same question, and here are the answers we found. 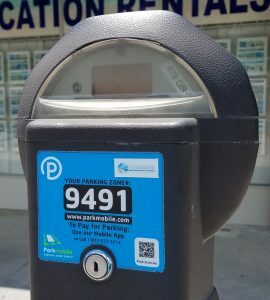 Parking meters throughout town are now offering the alternative payment method that employs QR codes. Don’t know what a QR code is? The good news is that they are not difficult to learn if you haven’t already. If you can download an app to your phone, you have all the technical skill necessary. The obvious first step is to download a QR code reader app to your phone. Once you’ve done that -which is easy -you’re almost set to pay for parking with your phone. The next step is to use your QR code reader on a parking meter displaying a code. It will take you to a site where you can register. Registration will set you up to pay for parking using the Parkmobile app. Does that sound like a pain? Consider this; when you register, you can thereafter use Parkmobile in any of the cities where it is available, and the number of those cities is growing. 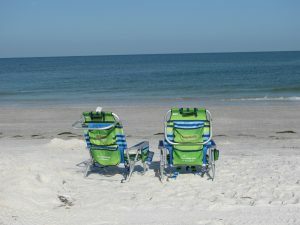 Further, you will be able to use it all throughout your stay at Clearwater Beach or any other city you are visiting. Still not convinced? Then consider sitting on the beach when you realize your meter is about to expire. Who is going to take the long walk? How much time will you spend? Do you have more quarters or will you have to go to a store, make a purchase, and then run back to the car? With the phone app, you don’t have to do that. You just use your mobile device to extend your time right from where you are sitting. That’s the real value of the system. Registration includes adding a credit card number to the system for payments. Once that is entered, which is basically why you are registering, you are set to pay for your parking remotely. There is one catch. You have to read and remember the regional number on your meter. That number tells the parking system, and subsequently parking enforcement, that your payment matches your parking spot. If you enter the number for some other city, you might wind up with a ticket. What it means is that, for those who have adopted digital technology or for those who want to, a convenient means to pay for parking exists. Is the parking app for you? That’s for you to decide. When you add together the scarcity of coins with the convenience of paying from your beach towel, it seems like a convenient option. 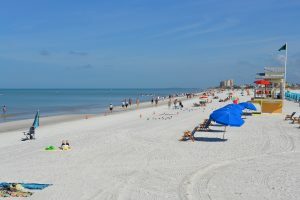 Where on Earth is Clearwater Beach?